The 2,000-acre Riverstone has always been the kind of place that thinks big. So when it came time for Super Bowl Sunday, the new-home community pulled out all the stops with an all-day party open to all Riverstone residents as well as their invited friends and families. Partygoers made full use of The Lodge’s expansive demonstration kitchen. Other Lodge amenities include flexible gathering places with WiFi, and a Fitness Center with advanced exercise equipment. 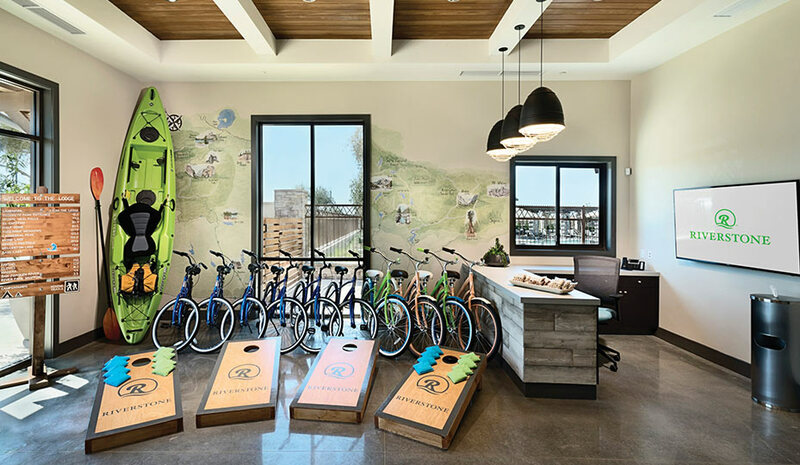 Designed as the jumping-off point for adventures in every season, Riverstone’s Gear Barn offers a variety of outdoor gear exclusively for residents’ on- and off-site recreational fun. More than 250 happy partygoers enjoyed the festive celebration, which took place at The Lodge, Riverstone’s brand-new, indoor-outdoor community clubhouse. Since every football matchup goes great with food and drink, an open bar and plenty of tasty pre-game snacks were made available, followed by a game-day feast catered by Andiamo Ristorante from Clovis—featuring a mouthwatering array of salads, pastas and pizzas. Not missing a single minute of the football action, fans watched the big game on a total of 10 big-screen TVs located throughout The Lodge, and even on the outside patios. Riverstone’s youngest residents enjoyed their very own version of game-day fun: jumping in bounce houses on the outdoor grounds of The Lodge, and enjoying fun games, popcorn and cotton candy. The party was made possible through the generosity of its sponsors, Richard Caglia and Ed Dunkel of Precision Civil Engineering, as well as Riverstone Development, LLC. 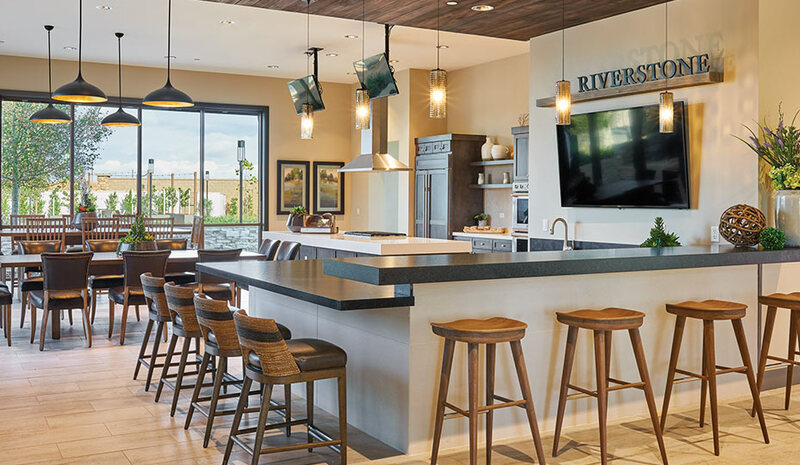 The Lodge at Riverstone is the centerpiece of the Lodge District, which includes two community parks, a number of hiking and biking trails, and Riverstone’s first collections of stylish, innovative new homes that are now selling. An upcoming elementary school is also planned for the Lodge District, and construction plans are well underway for the education facility, which will belong to the Golden Valley Unified School District, one of the highest performing school districts in the Central Valley. The school is anticipated to open in time for the 2021 school year. Rising from a 16.3-acre site within walking and biking distance from Riverstone’s new homes, the future elementary school is expected to accommodate 625 students. The innovative campus is planned to feature tech-forward 21st century classrooms, a state-of-the-art Library/Media Center, a dedicated music room, outdoor learning spaces, a large outdoor amphitheater and a dynamic sports complex. Situated in the heart of the region’s path of growth, Riverstone—when complete—will total approximately 6,578 single-family, attached and multi-family homes, as well as commercial and mixed-use space including office, service and retail. 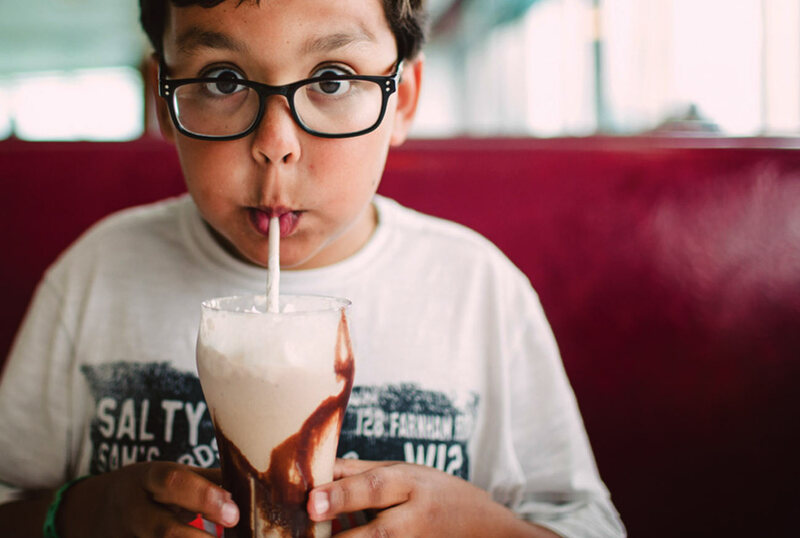 Amenities at Riverstone are anticipated to include walkable neighborhoods, parks and open space, multiple community clubhouses, hiking and biking trails, a dog park, a community farm, historic olive and citrus groves, a sustainable water supply, and on-site schools.